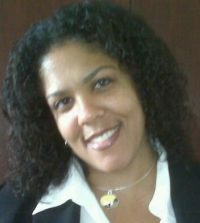 Dr. Hayley Figueroa is a board member for the heArt Studio at CDI. She is also an Assistant Professor in the department of Exercise Physiology at Winston-Salem State University, where she is currently developing an undergraduate public health program. Her previous posts include Metropolitan College of New York and City University of New York at Brooklyn College, where she taught a variety of courses in healthcare management, emergency preparedness and disaster management, and health and nutrition sciences. A public health practitioner and consultant with more than 20 years of professional experience, Dr. Figueroa has worked with government agencies, community-based organizations, and healthcare facilities in the Tri-State area and the North Carolina Triad. She has developed and managed projects to expand primary care in New York City and improve health outcomes for women, immigrants, people living with HIV/AIDS, and HIV-positive inmates transitioning from New York City jails into the community. Since relocating to North Carolina in 2014, Dr. Figueroa has worked on women’s health issues and food justice and food insecurity issues across the Triad. Dr. Figueroa holds a DrPH (Community, Society & Health 2013) from the City University of New York School of Public Health in New York City, an MPH (Community Health Education, 2001) from CUNY at Hunter College, and a BA (Health & Society, 1990) from The University of Rochester.